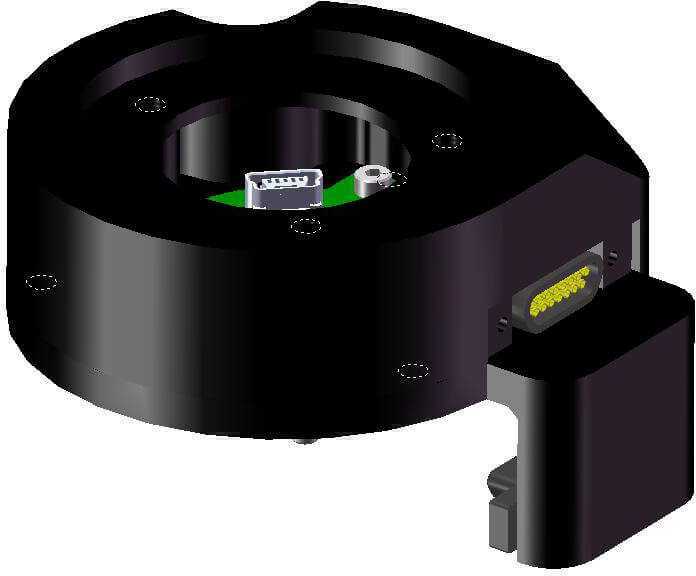 The 036-BRK-PH10M Breakout module is designed to allow the 036-AJN video probe to integrate within a CMM which utilises the Renishaw auto-joint to perform fully automatic probe changes. The USB signals required by the 036-AJN video probe are passed through the PH10M but cannot pass down the muti-wire cable to the controller. The 036-BRK-PH10M breakout module separates them from the multi-wire and provides a standard USB mini B connection. The 036 breakout module attaches between the CMM quill and the PH10M lowering the PH10M by 20mm. Available in 4 variants 036-BRK-PH10M, 036-BRK-PH10M-HS (Horizontal Switch), 036-BRK-PH10M-VS (Vertical Switch) and the 036-BRK-PH10MQ-VS.